Light Work would like to wish a hearty congratulations to our Light Work family members Susan Lipper, Arno Rafael Minkkinen & Stuart Rome on being named 2015 Guggenheim Fellows. The John Simon Guggenheim Foundation’s annual Guggenheim Fellowships are awarded to men and women who have demonstrated exceptional capacity for productive scholarship or exceptional creative ability in the arts. Lipper was Light Work’s September 2004 Artist-in-Residence. Minkkinen was one of Light Work’s first exhibiting artists in 1973, and a contributor to our 2009 Platinum Editions Program. Rome was among Light Work’s first Artists-in-Residence in 1978 and a participant in Light Work: Photography over the 70s and 80s, Light Work’s 1985 retrospective, touring exhibition which opened at the Everson Museum of Art in Syracuse, NY. Over Light Work’s 42 year history, 28 of our Artists-in-Residence and exhibiting artists have received the Guggenheim Fellowship including Dawoud Bey, Doug DuBois, John Gossage, Elijah Gowin, Deana Lawson, Osamu James Nakagawa, Suzanne Opton, Christian Patterson, Mark Steinmetz, Alessandra Sanguinetti, Cindy Sherman & more. We are humbled and honored to have helped facilitate time, space, and resources for so many of these artists early in–and throughout–their careers. We are proud to be part of this history. Below, we present all of Light Work’s Guggenheim Fellows and the fine prints, books, and Contact Sheet volumes featuring their work. Consider supporting Light Work’s mission by making a purchase of works by these world-renowned artists. Search all of our offerings at lightwork.org/shop. A collection of work produced by the Light Work Artists-in-Residence and the Light Work Grant Recipients with accompanying essays. 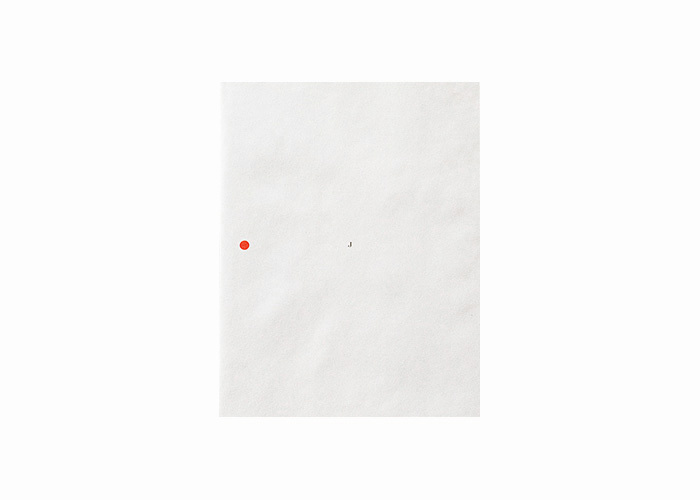 Includes the work of Pipo Nguyen-duy, Bharti Parmar, Tone Stockenstrom, Myra Greene, Matthew Swarts, Stephen Hughes, Alex Harsley, Scott Townsend, Wayne Barrar, Susan Lipper, and Jonathan Moller. Also included are the Light Work Grant recipients Harry Littell and Lois Barden, Mark Hemendinger, and Barry Perlus. Featuring himself as the main actor on the vast stage of nature, Minkkinen’s photographs bend, twist, and immerse the body back into its primal settings. His masterful use of line, texture, and composition create isolated moments that reestablish a harmonious relationship between mankind and the ground, water, and flora that feed and nurture its corporality and spirit. 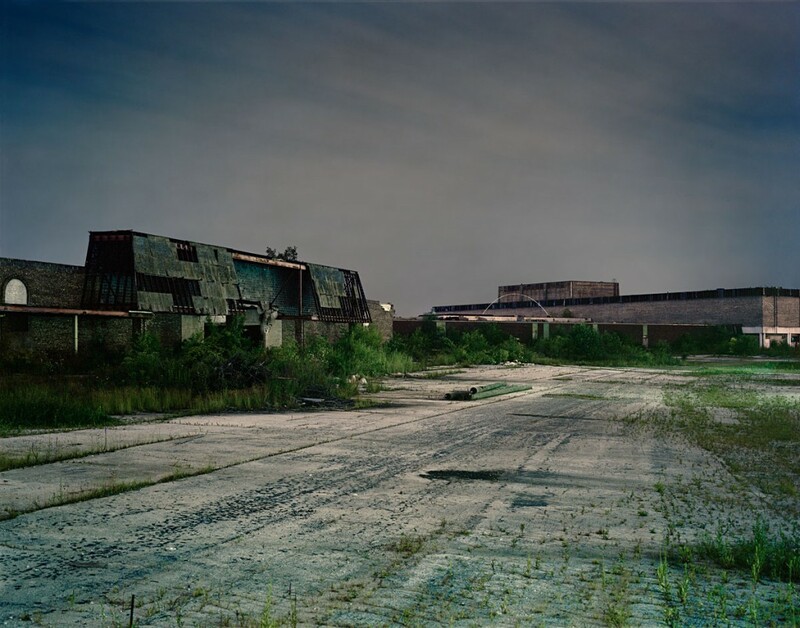 In images such as Paper, Scissor, Rock, Minkkinen and the exact locations of the exposures remain anonymous, making possible a global expression of humanity’s eternal place in the organic order. This edition was produced by renowned platinum printer Sal Lopes on 100% rag paper. Contact Sheet 5 features work by artists Chris Enos, Les Krims, Lynn McMahill, Suzanne Mitchell, Ted Orland, Stuart Rome, Juliana Swatko. It also features work by the 1978 Light Work Grant recipients David Broda, Mima Cataldo, Lucinda Devlin, and Richard Laughlin. Artists included: David Broda, Mima Cataldo, Lucinda Devlin, Chris Enos, Les Krims, Richard Laughlin, Lynn McMahill, Suzanne Mitchell, Ted Orland, Stuart Rome, Juliana Swatko. 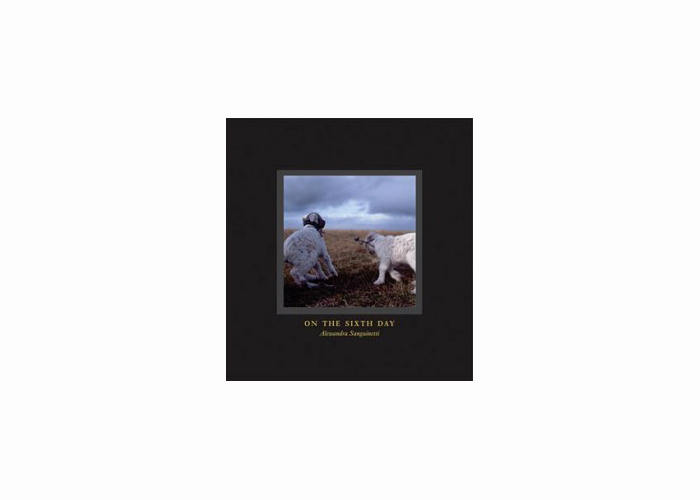 Special Note: This is the last portfolio remaining of this special, limited edition. This strikingly beautiful, one-of-a-kind boxed set includes all four prints from the Eatonville Series with signed photographs by Dawoud Bey, Lonnie Graham, Carrie Mae Weems, and Deborah Willis. All four prints are matted and ready for framing or archival storage. The limited edition was created expressly for Light Work, following a photographic survey of Eatonville, FL, home of celebrated writer Zora Neale Hurston. The images capture a unique view of the oldest black incorporated town in the United States. 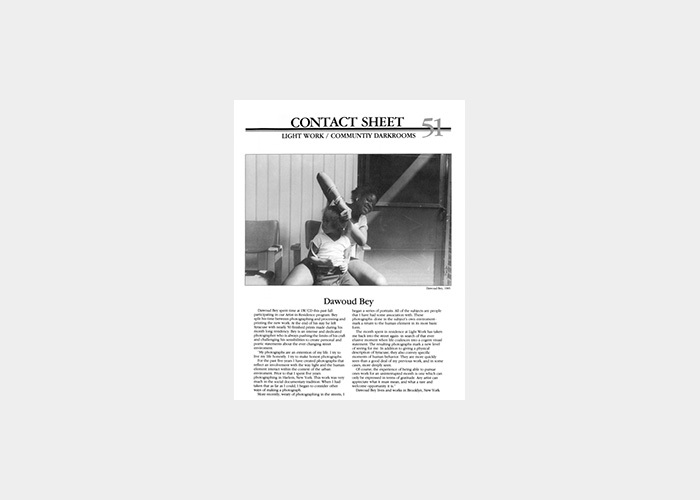 The special offer includes a back issue of Contact Sheet 124, featuring the to the Embracing Eatonville exhibition. In his series By Rail, artist Scott Conarroe evokes a sense of adventure and beauty inspired by the sight of train tracks. In this project, started in 2005, Conarroe drove to points all over North America to photograph what remains of a system that once connected cities, people, and their lives. Made mostly at dawn, the images in By Rail offer a graceful nostalgia for a mythical pioneer past that long ago gave way to the lure of the automobile. Conarroe’s photographs have been shown widely, including exhibitions at Art Gallery of Windsor in Windsor, Ontario; Stephen Bulger Gallery in Toronto, Ontario; and The Museum of Contemporary Canadian Art in Toronto, Ontario. Conarroe was a Light Work Artist-in-Residence in 2008. Doug DuBois has photographed his family for over twenty-five years, following the seasons of happy and sorrowful moments. 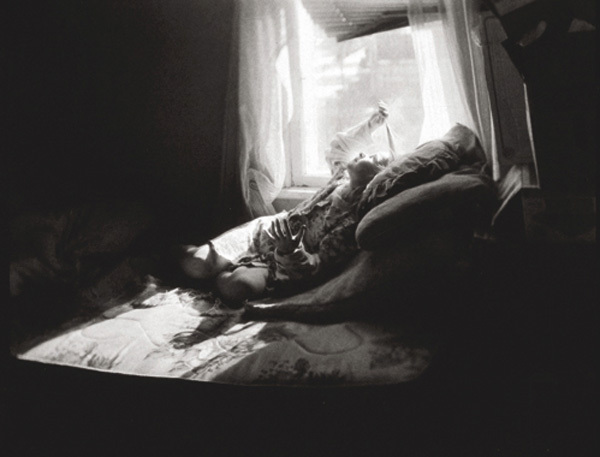 His book …all the days and nights featuring this and sixty-one other images in the series, is the result of decades-long observation, during which DuBois’ family experienced many joyous occasions and devastating losses. Contact Sheet 177: Light Work Annual 2014 features work produced by the 2013 Light Work Artists-in-Residence Brijesh Patel, Alexandra Demenkova, George Gittoes, John D. Freyer, Jason Eskenazi, Anouk Kruithof, Dani Leventhal, Karolina Karlic, Cecil McDonald Jr., Matt Eich, Jo Ann Walters, Ofer Wolberger, and Eric Gottesman. The publication also includes work by 2013 Light Work Grant Recipients Janice Levy, Jared Landberg, and Laura Heyman, as well as recap of the year of Urban Video Project (UVP) exhibitions. Featuring texts by Jeffrey Hoone, Mark Sealy, Hannah Frieser, Nancy Keefe Rhodes, Christine Hill, Laura De Marco, David Oresick, Sally Stein, Tempestt Hazel, Rachel Somerstein, Laura Wexler, Carmen Winant, Dagmawi Woubshet, JP Gardner, and Anneka Herre. 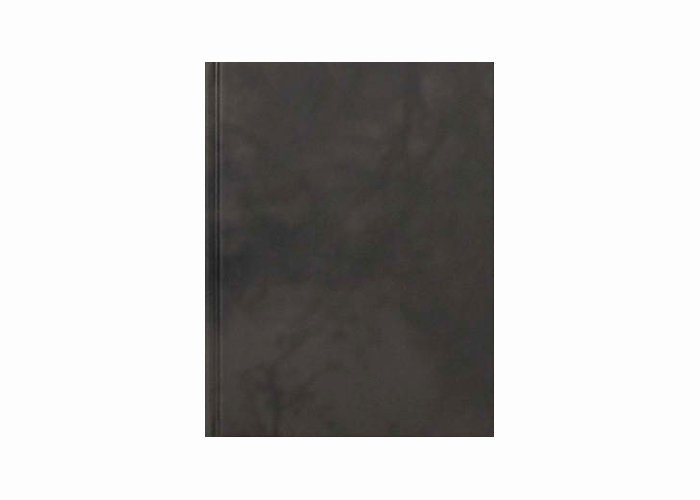 In this, her first book, LaToya Ruby Frazier offers an incisive exploration of the legacy of racism and economic decline in America’s small towns, as embodied by her hometown of Braddock, Pennsylvania. The work also considers the impact of that decline on the community and on her family, creating a statement both personal and truly political-an intervention in the histories and narratives of the region. 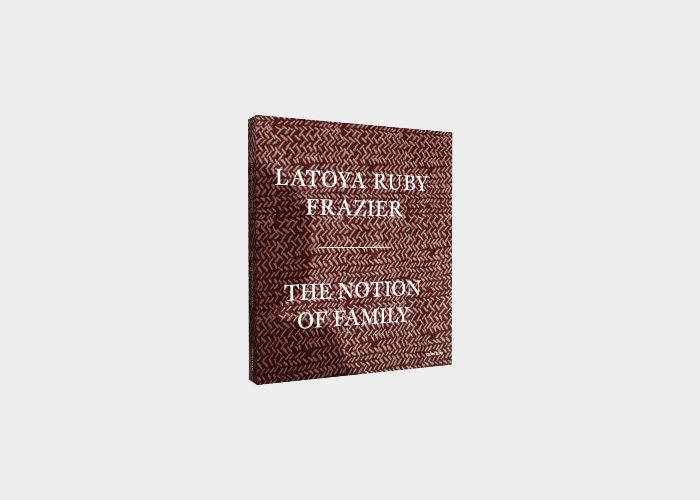 Frazier has compellingly set her story of three generations-her Grandma Ruby, her mother, and herself-against larger questions of civic belonging and responsibility. The work documents her own struggles and interactions with family and the expectations of community, and includes the documentation of the demise of Braddock’s only hospital, reinforcing the idea that the history of a place is frequently written on the body as well as the landscape. With The Notion of Family, Frazier knowingly acknowledges and expands upon the traditions of classic black-and-white documentary photography, enlisting the participation of her family-and her mother in particular. As Frazier says, her mother is “coauthor, artist, photographer, and subject. Our relationship primarily exists through a process of making images together. I see beauty in all her imperfections and abuse.” In the creation of these collaborative works, Frazier reinforces the idea of art and image-making as a transformative act, a means of resetting traditional power dynamics and narratives, both those of her family and those of the community at large. A collection of color photographs shot in and around Tokyo. While Gossage’s trademark celebration of the banal is certainly on display here, the photographer charts new territory with shots of Tokyo street scenes, skyscapes and tissue boxes. 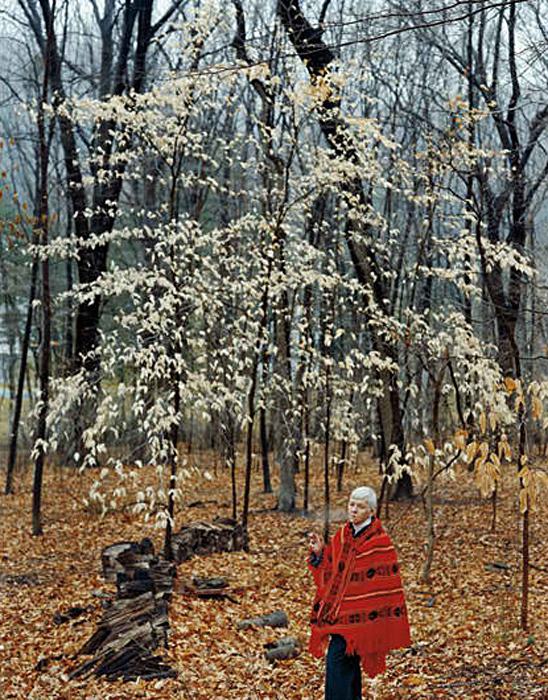 This image comes from Elijah Gowin’s series Hymnal of Dreams (1994-2004), in which his beloved aunt Margaret Cooper is featured prominently in dreamlike and whimsically constructed scenes. 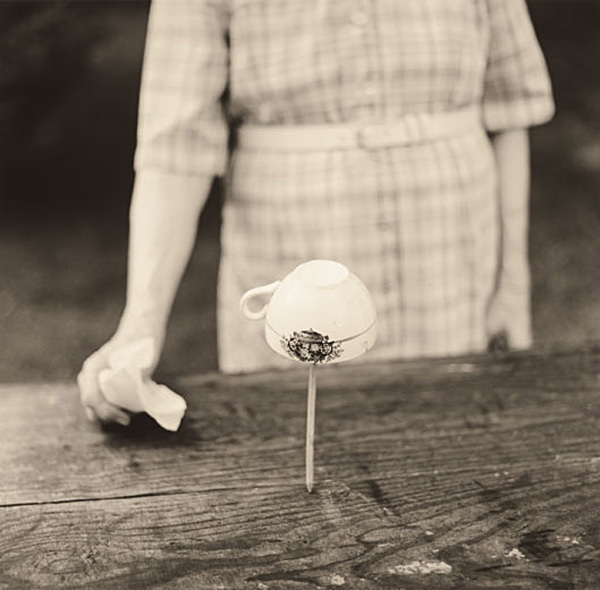 Gowin uses photography to speak about ritual, landscape, and memory. Both images from Light Work’s Master Print Edition were included in the book Maggie. Subscribe now to receive the forthcoming Light Work Annual and one year subscription to Contact Sheet featuring work by all of Light Work’s 2014 Artists-in-Residence, Exhibitions, and more. 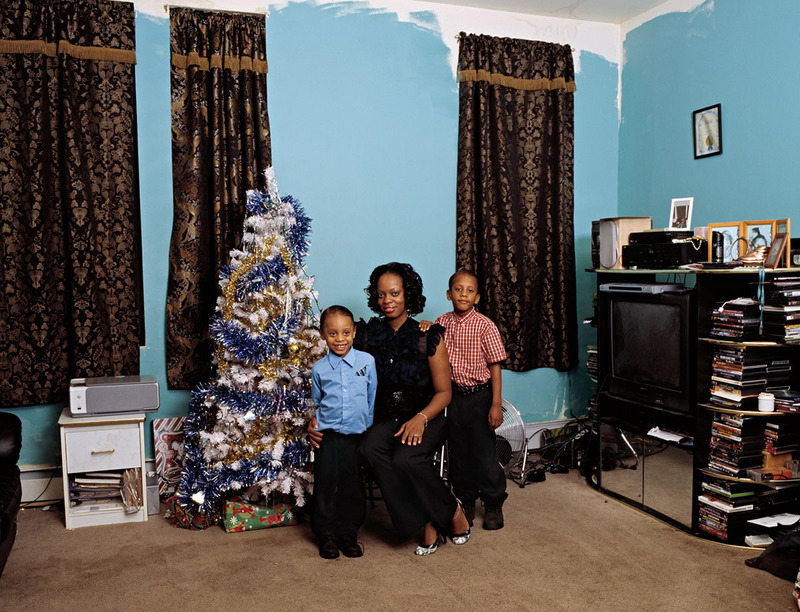 At first glance, Deana Lawson’s images have a seemingly straightforward quality that dissolves into a complex set of questions about representation of the self, the construction of notions of beauty, and the nature of photographing – questions that will never have clear and finite answers, no matter how hard and long we look. Lawson has received numerous awards, such as fellowships with the New York Foundation for the Arts (NYFA) and the Aaron Siskind Foundation. Her work has been exhibited at venues like the Spelman College Museum of Fine Art in Atlanta, GA, and Collette Blanchard Gallery in New York City. Lawson was a Light Work Artist-in-Residence in 2008. 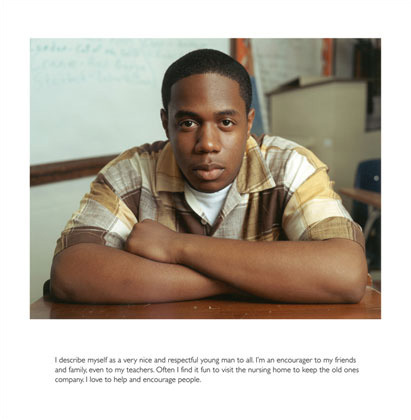 Artists included: Dawoud Bey, John Dziadecki, Helen Levitt, Scott McCarney, Sheila Pinkel. In all of Andrea Modica’s photographs something is slightly askew. The full activity of every frame is never entirely revealed, nor ever completely concealed. Focus shifts from back to front and side to side. Hands obscure faces, and torsos stretch out of the frame or only appear in the background as distant details. Even when she abandons the devices of framing and focus to throw us off center, she can achieve the same results with the clarity of her juxtapositions, like the image of a young boy holding the severed tail of a goat. In these moments, and they occur throughout her work, Modica creates open-ended narratives where fact and fiction are merged and blurred in order to show us the rough edges of experience where uncertainty and caution meet anticipation and hope. Osamu James Nakagawa received a MFA from the University of Houston and is an associate professor at Indiana University in Bloomington, Indiana. 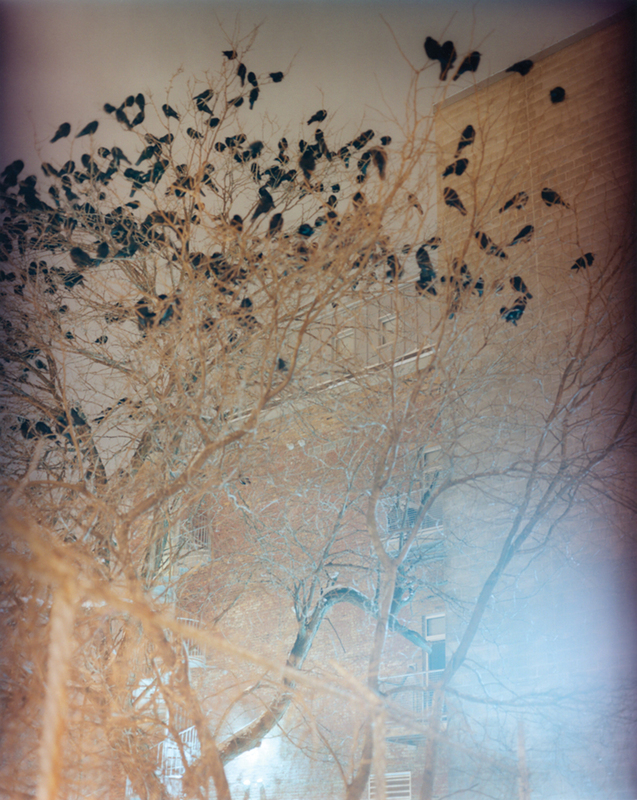 Nakagawa is a recipient of the 2009 John Simon Guggenheim fellowship and 2010 Higashikawa A New Photographer Award in Japan. Pipo Nguyen-duy’s photographs are as emotionally moving as they are beautiful. 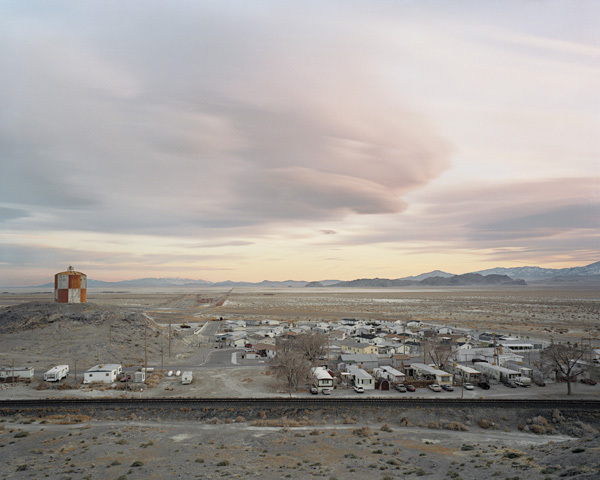 His photography stems from the traditional style of landscape painting. 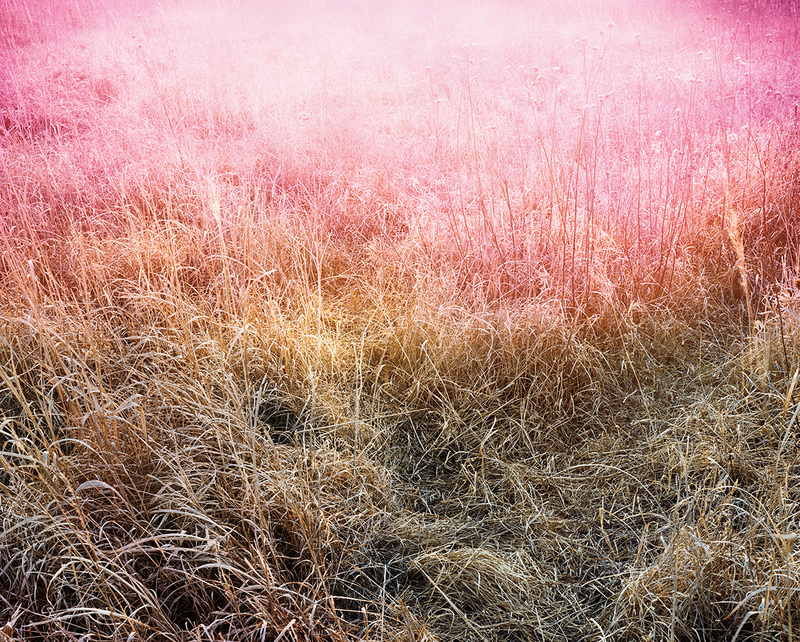 According to Jennie Hirsh, his “reliance on the natural world as a theatrical apparatus uncovers collisions between nature and culture, past and present, in carefully crystallized visions that inscribe themselves onto classical Western visions of the (un)natural world.” His photographs hold references to mythology and history, and capture a thought-provoking vision of the American landscape and people. 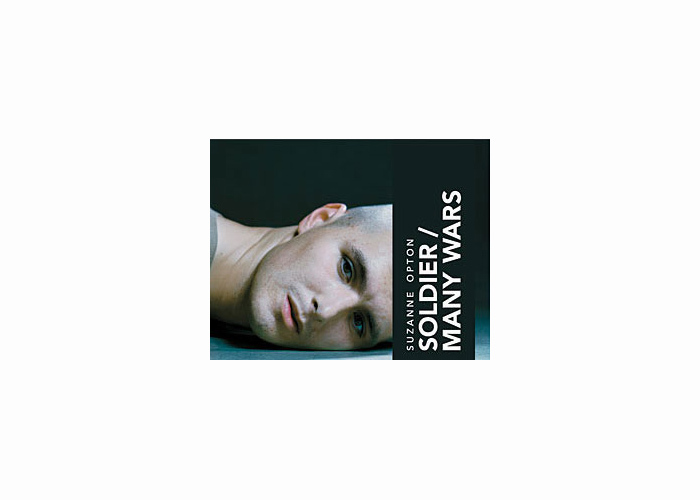 Portrait photographer Suzanne Opton’s latest monograph Soldier / Many Wars reflects a curiosity about the military at a time of war. Focusing her lens on soldiers who recently returned from their tour of duty in Iraq, her images are both emotionally and politically poignant. “It is not sensationalism I am after. I am after the human being,” writes Opton. Christian Patterson is a self-taught artist, born in Fond du Lac, Wisconsin. 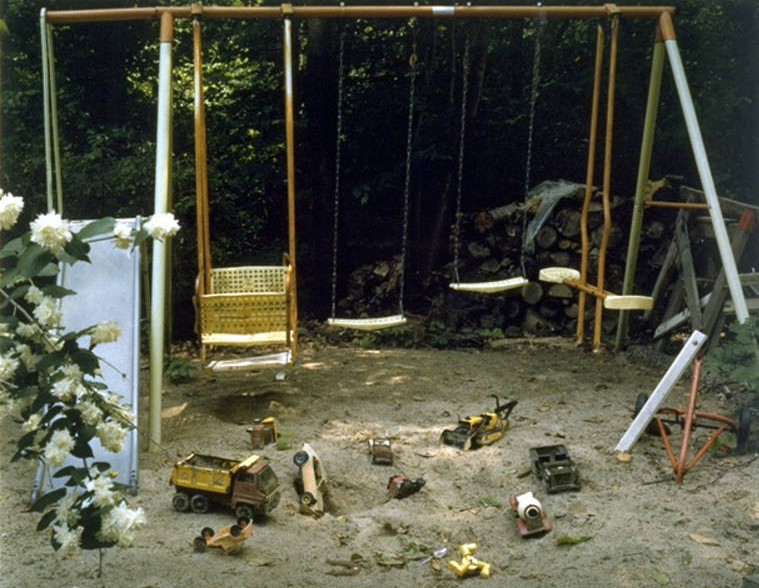 Photographs are the heart of Patterson’s work, sometimes accompanied by drawings, paintings and readymade objects. Prarie Grass Leak comes from Patterson’s recent project, Redheaded Peckerwood. The project utilizes a true crime story as the basis of a visual crime dossier, a cryptic collection of clues for the viewer to decipher. The project utilizes a multitude of photographic techniques to re-tell a tragic story from the past. It is exhibited with documents and objects related to the story. Patterson’s Redheaded Peckerwood was published as a monograph by MACK in 2011 to critical international acclaim, was nominated for the 2012 Kraszna-Krausz Book Awards, won the prestigious 2012 Rencontres d’Arles Author Book Award, and is now in its third printing. 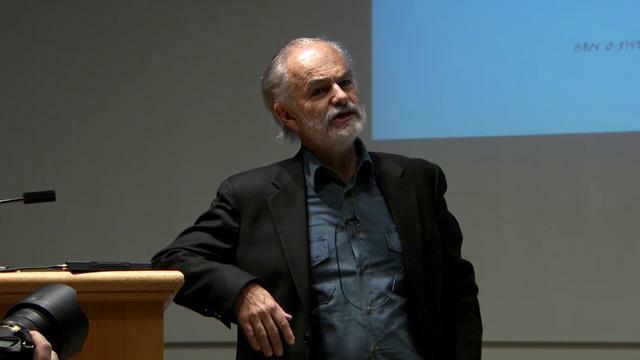 In 2013 he was awarded a John Simon Guggenheim Memorial Foundation Fellowship. Patterson is represented by Rose Gallery in Santa Monica, CA and Robert Morat in Hamburg and Berlin, Germany. He lives and works in Brooklyn, New York. Patterson participated in Light Work’s Artist-in-Residence Program in May 2010. Sanguinetti’s vivid photographs depict the coexistence of people and animals in an arrestingly honest portrayal. Her photographs reveal and describe with clarity the rituals and traditions of the local farmers whose lives interweave with a host of domestic animals caught in the cycle that is life and death. Ramadan Moon and A Camel for the Son are the first two books in the International Human Rights Series (IHRS) and are intended as companion volumes. The IHRS was established by Fazal Sheikh in 2001 in order to further the understanding of complex human rights issues with which he was involved and to disseminate his projects in a variety of accessible forms to a wide international public. * Note: Only unsigned copies are available. Contact Sheet 173: 40 Artists / 40 Years marks Light Work’s 40th Anniversary and is released in conjunction with the exhibition 40 Artists / 40 Years: Selections from the Light Work Collection. 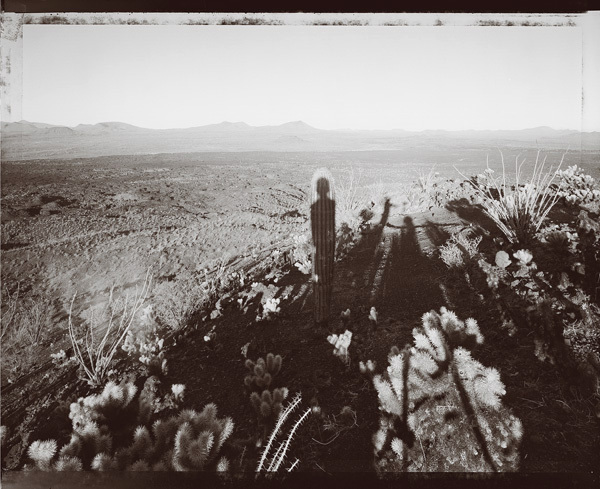 Complete list of artists: Andrew Buck (1973), Arnold Gassan (1974), Clarence John Laughlin (1975), Charles Gatewood (1976), Roger Mertin (1977), Barbara Houghton (1978), Kenda North (1979), Ellen Carey (1980), Cindy Sherman (1981), James Casebere (1982), Jim Goldberg (1983), John Gossage (1984), Dawoud Bey (1985), James Welling (1986), Marilyn Nance (1987), Carrie Mae Weems (1988), Clarissa Sligh (1989), Jim Pomeroy (1990), Antony Gleaton (1991), Willie Middlebrook (1992), Fazal Sheikh (1993), Elise Mitchel Sanford (1994), Max Becher & Andrea Robbins (1995), Renee Cox (1996), Stanley Greenberg (1997), Chan Chao (1998), Annu Palakunnathu Matthew (1999), Lonnie Graham (2000), Zoë Sheehan Saldaña (2001), Alessandra Sanguinetti (2002), William Earle Williams (2003), Pipo Nguyen-duy (2004), Hank Willis Thomas (2005), Beatrix Reinhardt (2006), Lucas Foglia (2007), Deana Lawson (2008), Yolanda del Amo (2009), Brian Ulrich (2010), Michael Tummings (2011), Cui Fei (2012), and John Freyer (2013). This catalogue features work produced by the 2012 Light Work Artists-in-Residence and the Light Work Grant Recipients with accompanying essays. It includes the work of Aspen Mays, Claire Beckett, Heidi Kumao, Irina Rozovsky, John Chervinsky, Justyna Badach, Karen Miranda-Rivadeneira, Michael Bühler-Rose, Nate Larson and Marni Shindelman, Raymond Meeks, Shimon Attie, and Valerio Spada. Light Work Grant recipients include Dennis Krukowski, Tice Lerner, and Sayler/Morris. Mark Steinmetz is known for his black-and-white photographs that explore the magic of the everyday. With delicate tones, his images and various books have found their place in the canon of photography. 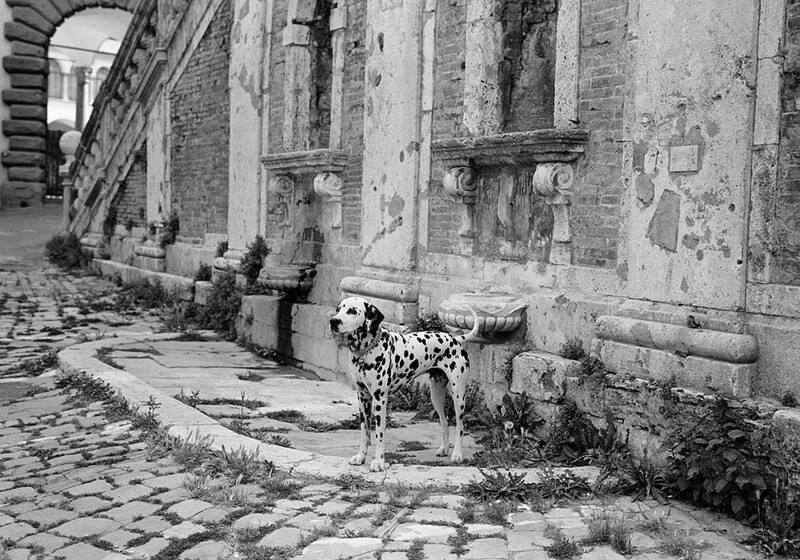 Among his many monographs is a soft spoken book titled Italia: Cronaca di un Amore (Nazraeli, 2010), which includes this memorable portrait of a dalmatian on the streets of Perugia, Italy. His photographs are held in the collections of The Museum of Modern Art, The Metropolitan Museum of Art, and The Whitney Museum of American Art, New York, NY; The Art Institute of Chicago, Chicago, IL; and The Los Angeles County Museum of Art, Los Angeles, CA, among others. Steinmetz participated in Light Work’s Artist-in-Residence Program in 1998. This catalogue features work produced by the 2010 Light Work Artists-in-Residence and the Light Work Grant Recipients with accompanying essays. It includes the work of Sama Alshaibi and Dena Al-Adeeb, Ayana V. Jackson, Brian Ulrich, Christian Patterson, Lenard Smith, Susan Worsham, Gerard H. Gaskin, Keliy Anderson-Staley, Simon Rowe, Shen Wei, Zoe Strauss, Richard Barnes. Light Work Grant recipients include Yasser Aggour, Ron Jude, Lida Suchy. 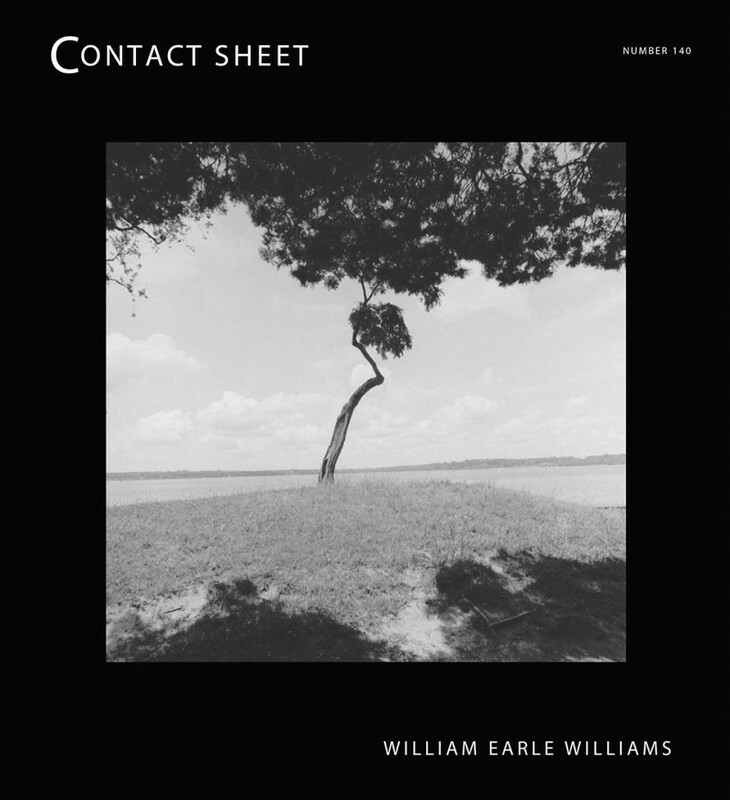 This catalogue features the stunning photographs of William Earle Williams. Until the release of the motion picture Glory in 1989, it was not well known that more than 180,000 black soldiers served in the Civil War. Williams’s images call attention to the sites made special through these soldiers’ contributions, so that their story becomes a part of our American story. The photographer has been pursuing this series for over ten years. He has photographed significant Civil War sites in the South and North, recording both historically recognizable as well as forgotten locations. For inquiries, contact Communications Coordinator Jessica Posner at jessica@lightwork.org or 315.443.1263. See more videos from Light Work on our new Vimeo page. We will be live streaming two fantastic talks from the SPE Regional Conference, both of which will be available to watch here on Saturday, November 5th. UPDATE: Thanks to those who watched the live stream here. The player has now been removed, but video of each of these talks will be posted on the blog soon! In addition to the blog, tune into Light Work’s Facebook and Twitter pages for updates throughout the conference.